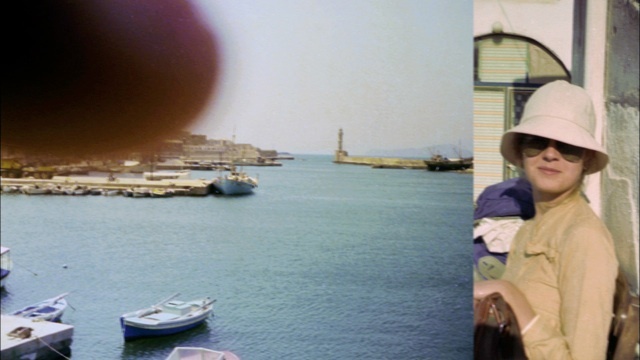 “In July 1974, on holiday in Crete,, I was 24 and I had my first encounter with war. In the south of the island, notices for general mobilization were displayed here, there and everywhere, on walls, and on trees in village squares. The island was suddenly emptied of its menfolk, I saw them getting into buses, and setting off for Cyprus to wage war. As I thought about the Suspended Spaces project, I thought of my souvenir snaps of that journey. They are clumsy, not well framed, and they have a quality of strangeness caused by the fingers you sometimes see in front of the lens. Although I’ve never been to Cyprus, I am discovering that this island and Crete are geographically very similar, like twins: latitude, area, population, and landscapes. Chance has put me at the crossroads of my own history and a moment in History, still unfinished, “over there”.” Sophie Ristelhueber. Sophie Ristelhueber will be the only artist in the project who has not wanted to be faced with the physical experience of Famagusta. She has preferred to work with her distant knowledge, that of memories and documentation. This “outside” position claimed by the artist seems to adopt the counterpoint of the photographic work that we associated with her: work that consists in actually going to territories affected by war (Lebanon, Kuwait, the West Bank, Yugoslavia, Iraq), there to take photos attesting to the traces and scars of those conflicts. But what is involved here is the same desire not to deal with history head-on, a desire to show what is roundabout, the befores and afters, whether they are incorporated in the geographical space or in that of memory. The video Over There consists of a sequence of holiday photos put end-to-end, scanned, and then digitally filmed in 16/9, which was not their original format. 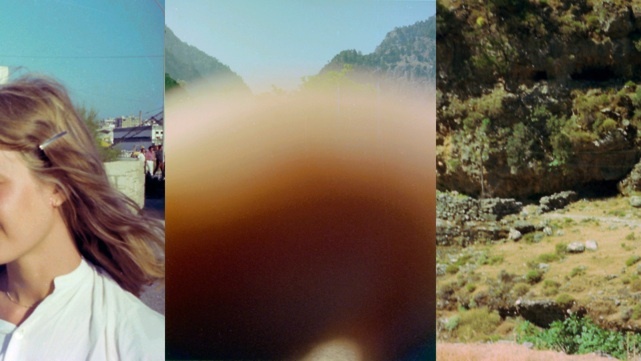 The scrolling effect thus simultaneously makes visible up to three images, partly at least, creating ephemeral polyptychs which follow on one from the other. The unframed, incomplete and suggestive photographs take on a new coloration, stripped of their usual role that freezes and preserves a memory. 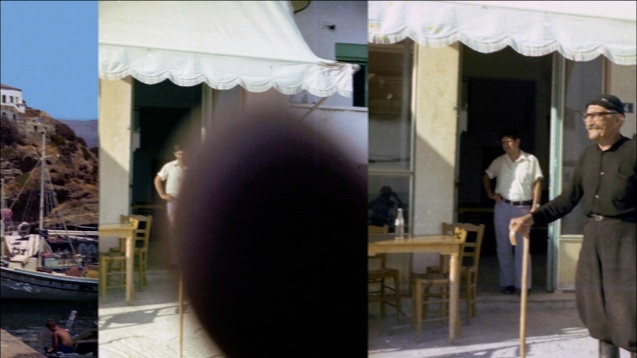 As a counterpoint to this way of close-up looking at the subjective reality of a young woman, a soundtrack broadcasts live commentaries made at the time by Michael Nicolson, a Reuter’s reporter present in Cyprus from the very first day of the conflict. Sophie Ristelhueber has selected and edited some of the excerpts, at times in a repetitive way, so what is involved here is not a literal sonic illustration.